Description: Caraway, recognized as Persian cumin, is a biennial herb belongs to Apiaceae family. Its native place includes Europe, Asia, and Northern America. It is scientifically termed as Carum carvi, additionally labeled as Apium Carvi, its scientific name. 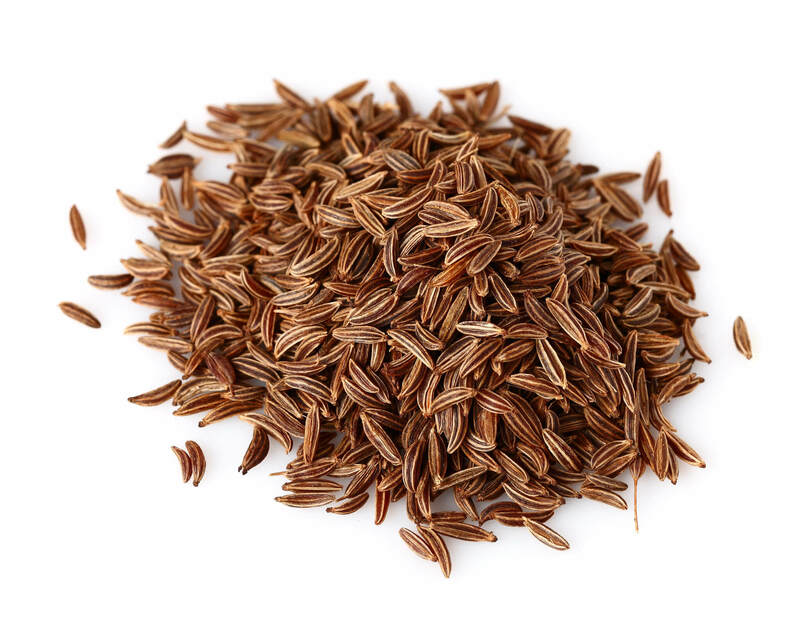 Caraway seeds are popularly used as spice, especially in Europe and Indian subcontinent. Synonyms: Caraway oil, Carum carvi, Meridian Fennel, Persian Fennel. Botanical Name: Carum Carvi Part Used: Ripe Seeds Color: Colorless to Yellow Viscosity: Watery in viscosity Perfumery Note: Characteristic Shelf Life: Two Years Density: 0.904-0.920 Refractive Density: 1.484-1.490 Extraction: The essential oil of Caraway is extracted from the dried Caraway seeds through the steam distillation process. It yields 2-8%. Origin: Caraway oil originates from the Asia Minor, and widely distributed in Russia, Africa, and Northern Europe. It’s an old spice that is widely used as flavoring agent for cooking purpose. Caraway plant has soft leaves with pink flower and can grow up to 60-62 cm. Abstract: Essential chemical constituents of Caraway oil are Carvone, Limonene, Acetaldehyde, Cumuninic aldehyde & furfurol. Concoction: It can be easily blend with other essential oils such as orange oil, ginger oil, Lavender oil, Frankincense, Coriander Chamomile oil & Basil oil. USES: Pharma Uses Caraway oil is an expectorant & cure asthma, cough & bronchitis. It is very helpful in sore throat, laryngitis, & urinary problems. Cosmatics Uses Caraway oil is used in massage oil and help skin to fight against infections. It is used as anti-aging agent and has the power of tissue regeneration. Food and Flavoring Uses Caraway oil is used as a food’s flavoring agent and mouth freshener. It is used in deserts & Indian Dishes like rice Dishes.